Ed Chipalowsky is a diesel technology instructor for Monroe Career and Technical Institute in Bartonsville, Pennsylvania. 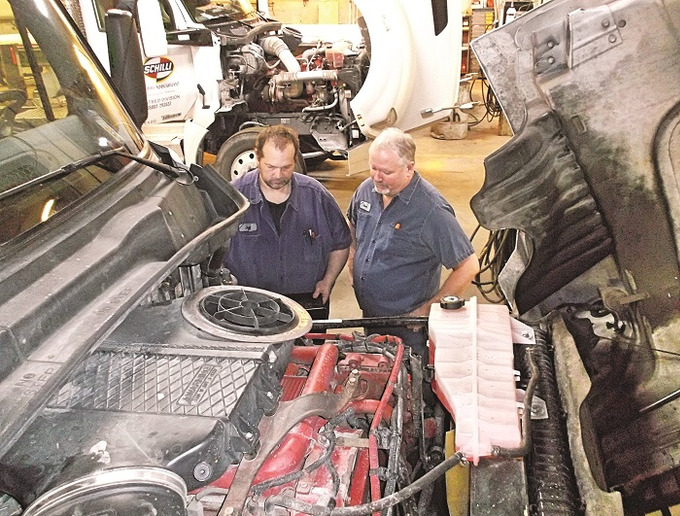 Though at first blush, the words technical institute imply the school solely caters to post high school graduates, Chipalowsky teaches in its high school program aimed at training diesel technicians. MCTI is part of a growing number of schools, industry organizations and fleet operations at work to address the escalating technician shortage by reaching kids early, mentoring them throughout high school and tech school, then following through with continuing education at the industry level. As an instructor in the first tier of this educational process, Chipalowsky is a big proponent of this new approach. “More schools are seeing the advantages of reaching kids at younger ages and are beginning to make changes in their curriculum to provide pathways to technical education,” he says. 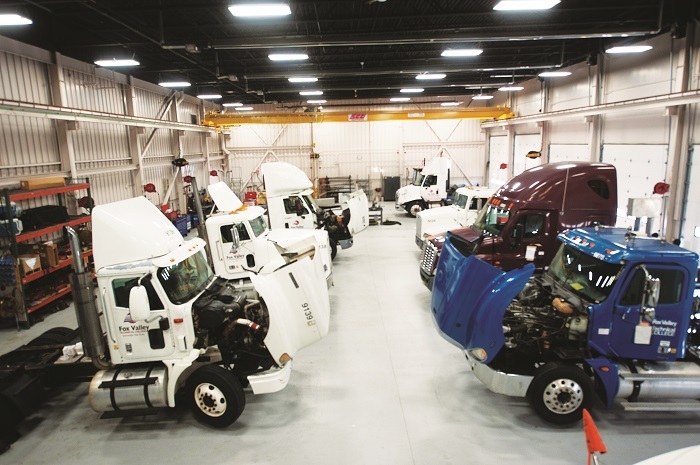 Chipalowsky’s tale is an example of what can happen when the trucking industry bands together to promote and further technician training and advancement. 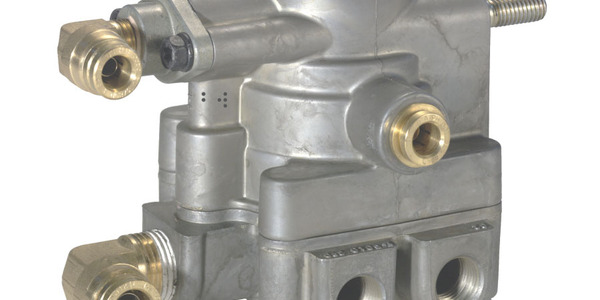 On the surface, when you need a technician in your shop now, investing in a middle school or high school student appears senseless when the payoff is three to five years away. 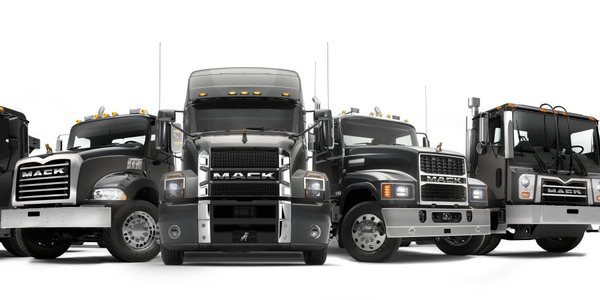 But as the trucking industry faces a sobering reality — that it will need an estimated 28,300 new entrant diesel techs by 2024 — Maher maintains schools from the elementary to post-secondary levels must march in time with the industry to meet the growing need. Work has already begun, but Maher suggests more is needed. She recommends a three-pronged effort that partners associations, educational institutions, and fleet operations in a joint effort to meet growing demands. In January, Fresno Unified School District broke ground on a $9 million, state-of-the-art trades facility for high schoolers to gain workplace experience before graduation. The facility, located on the campus of Duncan Polytechnical, will include a heavy truck maintenance and construction shop. FUSD Superintendent Bob Nelson says this facility will help students get certified to work on diesel trucks upon graduation. “Here, students can immediately leave our facility ready for work,” he says. The Fresno project is similar to what MCTI has been doing for some time. 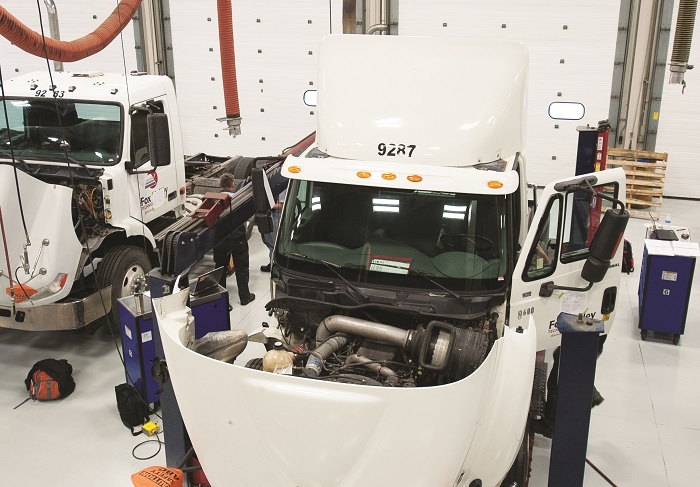 Its Diesel Technology Program is designed to prepare students to apply technical knowledge and skills to the specialized maintenance and repair of trucks, buses, and other commercial and industrial vehicles. Students leave the National Automotive Technicians Education Foundation (NATEF)-certified program armed with the skills needed to work on diesel engines, suspension and steering, brake systems, electrical and electronic systems, drivetrains, HVAC systems, and auxiliary equipment installation and repair. Students in the MCTI program spend half of their day attending legacy education courses, such as algebra or biology, and the other half of their day in the tech program. The school will graduate 10 students in May. Upon graduation, four students are heading to post-secondary schools, two are heading to the military, three are entering the workforce, and one student remains undecided. Chipalowsky laments, however, that the success of programs like MCTI’s is tied to industry partnerships, which can sometimes be lacking. Penske, he says, has helped the MCTI program by donating equipment and hiring its graduates. 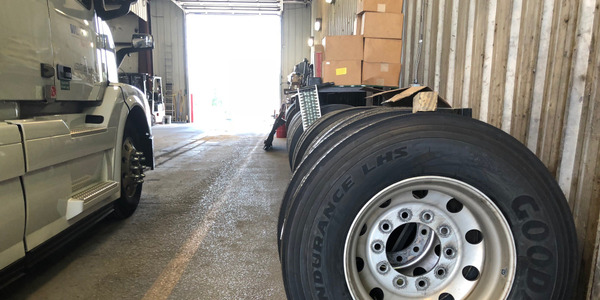 Some companies have taken it upon themselves to fill their own technician gaps, such as Schilli NationalLease, based in Remington, Indiana, which provides maintenance, long-term leases and daily rentals to the company’s trucking operation, Schilli Transportation Services, as well as to other fleets. The company employs 78 technicians with a combined 780 years of tenure, knowledge and experience, but many of its technicians are considering their retirement options over the next few years. After recognizing a need to attract qualified technicians to replace retiring techs, and a growing need to retain the technicians it already has, Schilli launched an initiative to evaluate its compensation, benefits, and training programs. After surveying shop managers, the company established two different pay scales, one for tractors and one for trailers, and crafted a training program for each to help technicians master new skills and increase their pay. Each pay scale has several different tiers based on skills and proficiency, and each tier has a salary range to provide managers flexibility in rewarding and incentivizing technicians. The firm also started a mechanic helpers’ program to pique interest in the trucking industry among high school students and young adults. “This program brings in people who may not have the tools or the skillsets to hit the ground running,” says Jake Rudisill, general manager of leasing and maintenance for Schilli NationaLease. The entry-level position serves as a stepping stone to tech-level positions. In this role, young people grab parts for technicians, clean up the work area and the shop, do parts runs and more. “But what they are really gaining is experience,” says Rudisill, who explains that not only are they figuring out if the work is for them, but they also are learning the lingo of the trade. 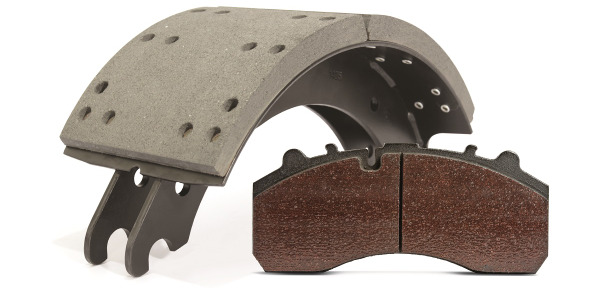 For example, they might learn that a brake chamber is also referred to as a 3030 or a Maxi, or when a truck blows a tire, a driver might talk about recaps or gators. Once on a tiered training path, Schilli technicians can earn increases in pay by adding to their skills and increasing their proficiency. The salary ranges within each tier also allow shop managers to reward technicians for other achievements, such as higher productivity, good attendance, and excellent customer service. He adds that the tiered program is meant to get employees to challenge themselves. 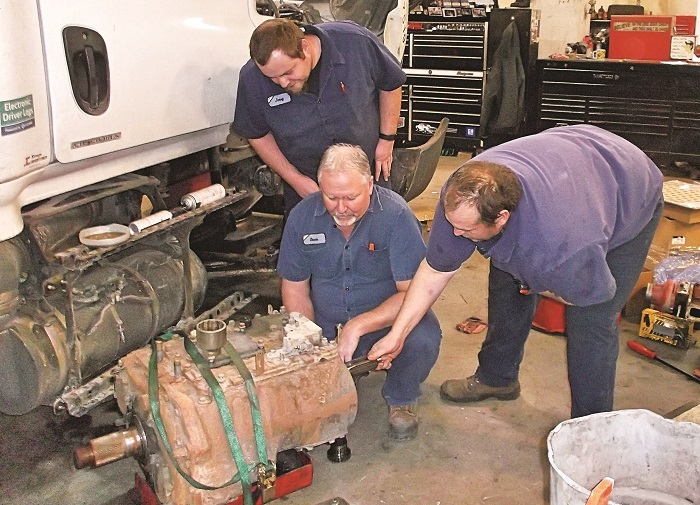 “A mechanic’s helper is challenged to learn the industry and the basics to become a Tier 1 tractor or trailer technician, a Tier 1 technician is challenged to master the skills to become a Tier 2 technician, and so on,” he says. The company has also established a dual-evaluation process, where both the technician and the supervisor evaluate and rate the technician’s performance and proficiency during his or her annual review. The manager and technician compare their evaluations to set goals for the coming year. Schilli’s compensation and training program is seeing positive results. 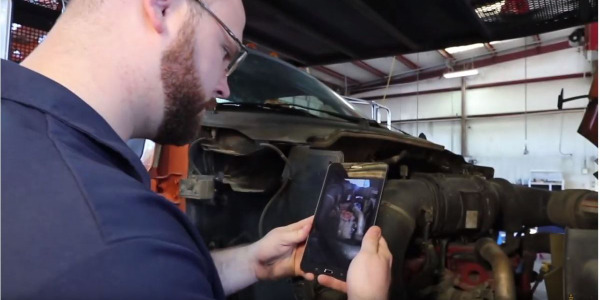 According to Rudisill, the program has reduced cost-per-mile on several routes, improved repair turnover time, decreased the turnover rate among technicians, and has increased young people’s interest in becoming technicians. 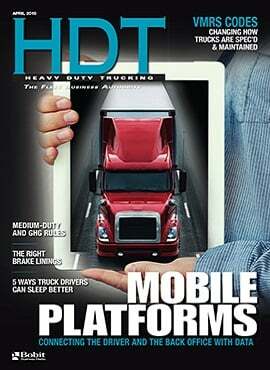 A critical piece for industry leaders is keeping the techs they have. Penske focuses its attention on retention from a new hire’s first day, says Gregg Mangione, senior vice president of maintenance at Penske. Penske has created an ambassadors program to ensure every new hire has a positive first day, first week, first month, and first year. This program pairs seasoned employees or ambassadors with new hires to take them through their first day and check in at regular intervals throughout the first year. The first day experience is critical to retention, Mangione says, so Penske ensures new employees have a uniform and a locker ready upon arrival, brings them in mid-week when things are slower, and makes sure to introduce them to the staff. “All this sounds simple, but people want to know they have a place,” he says. The program is self-driven, meaning techs can move up through the ranks as quickly as they can demonstrate they have mastered new skills. The company worked with Penn Foster Career School to develop internal standards for each technician level and internal materials to pair with OEM-led training. 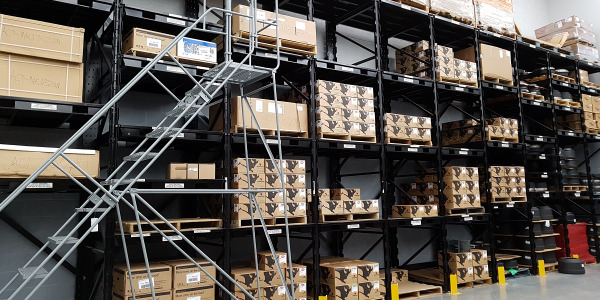 Penske trains students with these internal products, which include books, videos and instructor-led programs, then puts students on the shop floor where they can apply their new skills. 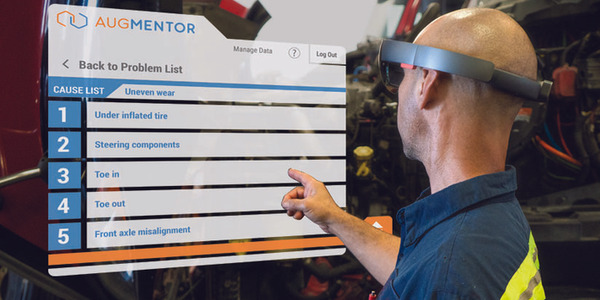 “You can provide people with all the training in the world, but they are not going to retain it unless they have that hands-on component; techs are usually tactile learners,” Mangione explains. 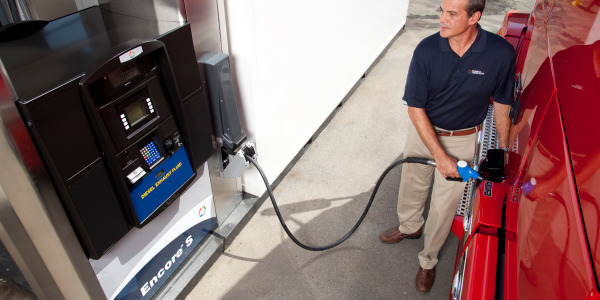 Finally, Penske supplies techs with tablet computers to use during servicing. From these they can not only perform system diagnostics, but also can pull up how-to videos, available on demand for complex repairs. The videos are three to five minutes long and are housed in a searchable database for techs to use. Ronnie Garrett is a freelance writer based in Fort Atkinson, Wisconsin. She has written about the skilled labor and technician shortage for a variety of industries, including manufacturing and supply chain, trucking and logistics, and aviation.